You’ve heard her name. You may even have attended her lectures. But who is this dynamic powerhouse who has been dubbed Israel’s most influential woman? In honor of Shavuos, AmiLiving presents an exclusive interview with Rabbanit Yemima Mizrachi, whose popular Torah lectures have taken the Jewish world by storm. In an intimate conversation with the Rabbanit, she shares the story and secrets of her success as one of the Jewish world’s most sought-after speakers. RABBANIT YEMIMA is the wife of a rosh yeshivah and the vibrant mother of eight who resides in the tranquil Jerusalem neighborhood of Shaarei Chesed. She speaks with refreshing candor and is as charming one-on-one as she is when standing at the podium in front of thousands of women. She can only be described as regal, exuding malchus in every gesture, her beautiful features neatly framed by a large black head covering. Her carriage is dignified and graceful. When she shares some tidbits about her childhood, these virtues come as no surprise. As a young man, Rabbanit Yemima’s father, born in Switzerland and a scion of the famous Rothschild family, was sent to the seaport city of Casablanca in Morocco to oversee the establishment of a Jewish school. There he married the rav’s daughter, and the couple eventually settled in Eretz Yisrael, where Yemima was born. “I was raised on fervent Yekke principles,” she tells me. “My father was a staunch follower of Rav Samson Raphael Hirsch. He always reminded me not to be a chachamah but a talmidah chachamah, to always want to learn. At our Shabbos table we learned Torah, Nevi’im and Ketuvim. I attended Chorev, a school that provided me with a solid, highly intellectual Yekke education as well as a drive for career advancement. My mother, the daughter of a Sephardic rav, always had a love of Torah burning in her heart.” The Rabbanit’s thirst for knowledge only intensified over time. “Growing up,” she shares, “I always knew I wanted to help women in need. I wanted to save broken marriages and make the world a better place. When choosing a career, it made sense for me to go into law.” After graduating from the prestigious Hebrew University’s law school, the ambitious Yemima landed an internship with a Supreme Court judge in Jerusalem. “I was relatively satisfied with my work,” the Rabbanit recalls. “It was a learning experience. Then the children came, one after another, baruch Hashem.” The Rabbanit gives me one of her trademark smiles,lighting up her face. “Suddenly, my career wasn’t the only thing in my life. Here I was, changing diapers and taking care of babies until the wee hours of the morning instead of writing briefs and running the show.” As she began to juggle her career and her first taste of motherhood, Yemima travelled a path that eventually led her to appreciate the beauty and dignity in being a Jewish mother. Over time, she came to realize that motherhood was what Hashem wanted from her and that taking care of her children was the truest, purest form of chesed. 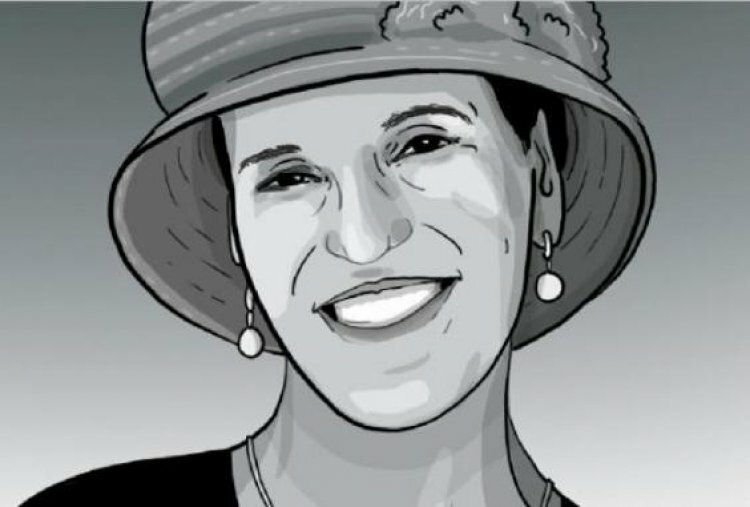 Having come to this newfound understanding of her ultimate career, Rabbanit Yemima decided to make a life-altering change. The Rabbanit offers a beautiful explanation of a pasuk in Tehillim as proof. “David Hamelech tells us, ‘Lulei Toratcha shaashu’ai az avadeti b’onyi—If not for your Torah, I would be lost in my pain.’ He doesn’t say that the pain vanishes, but that the Torah helps him find direction. The Torah teaches us how to comfort ourselves when we are sorrowful—and Hashem gave it to the women first because He knew we couldn’t survive without it. Even secular Jewish women drink the Torah in with thirst. It imbues them with koach.” Rabbanit Yemima delivered her first shiur on the parshah only 13 years ago, in her living room. There were seven women in attendance. A short while later, the by-then sizable class required a move to the local shul. Her weekly lecture then catapulted into a worldwide movement of Torah study. In addition to speaking around the world, the Rabbanit’s transcribed shiurim reach thousands of women by email. “Our generation needs Torah learning,” says the Rabbanit. “I’m not humble. I know that it’s not me; it’s because people’s hearts are wide open. It didn’t require much effort on my part to ignite them. Jewish women of all stripes just want to hear Torah and be inspired.” The Rabbanit, who has literally travelled the world to impart her message of the Jewish woman’s inner beauty, captivates her audiences. Her dynamic speaking style and delicate, often self-deprecatory sense of humor transform her words into brilliant gemstones. She often ends her lectures with a two-minute moment of silence, during which all the women daven for themselves, their families and the entire Jewish people. For many, it is the highlight of the event. Around five years ago, the kiruv organization Arachim flew her to New York for the first time. She has visited there countless times since, but always for short periods that leave her exhausted and uplifted at the same time. “What was your initial impression?” I ask out of curiosity. “I was very surprised at the spectrum of Jews living there—chasidish, Litvish, Israeli, whatnot,” she replies. “And I was highly impressed by the atmosphere. The women in New York are even thirstier for my message than those here. And the hachnasat orchim!” she says, her eyes sparkling, “is one-of-a-kind. Everyone welcomed me into their homes. The women were so lovely. It made me feel like everyone has a piece of Eretz Yisrael in her heart.” At the “Just One Shabbos” gathering in Johannesburg last year, the Rabbanit held the rapt attention of over 2,500 women, most of whom would be observing Shabbos for the very first time in their lives, as they performed the mitzvah of hafrashas challah together on Thursday evening. “The message that reverberated the most was the quality family time Shabbat would afford them. The opportunity to have an unadulterated, direct connection with their loved ones—without the phones and Internet and all those gadgets— touched the deepest chord.” The Rabbanit then expounds upon how we’ve lost touch with each other in today’s technologically-advanced era. “I feel that Hashem gave all these things to our generation in the same way He gave the Bnei Yisrael the slav in the desert. To the Rabbanit, her son’s broken heart is an allusion to all of our broken hearts. “On Shavuot night, Hashem cures the hearts of those who wish to learn Torah but cannot. In describing maamad Har Sinai the Torah states, ‘V’hahar bo’eir ad lev hashamayim—And the mountain was ablaze up to the heart of the sky.’ The sefarim ask what is meant by ‘the heart of the sky’ and give us an astounding answer: If the giving of the Torah gave a ‘heart’ to the sky, can’t its koach give a heart to all those who yearn for it?’ Shavuot has the power to change our lives and fill our children’s hearts with a yearning for Torah they never knew they possessed! “We used to have a neighbor in Shaarei Chesed named Reb Zundel Kroiser, a pious man who was niftar two weeks ago. Every Shavuot he would bring boys from the street into the shul and tell them, ‘This night has the power to cure broken hearts.’ And they would sit there all night, crying.” In a generation filled with emotional pain, Rabbanit Yemima brings much-needed balm to many who are suffering. “What do women like to hear most?” I ask. “That they’re not to be blamed. Women feel guilty all the time. ‘I’m a bad wife,’ says an inner voice. ‘I’m a bad mother.’ I’m here to tell them, ‘No, you are good. You’re doing your best.’ These words can nourish a woman for a whole week. But the very next week she has to come back for more!” “Do you find this phenomenon in secular circles too?” “Definitely,” she says. “It’s all over the place. I think it’s because women don’t hear enough praise.